It’s on at 7.15pm on Sunday evening, or if you miss it, you’ll be able to catch it on the iPlayer here after broadcast. In the meantime, here’s the press release / blurb for the show! 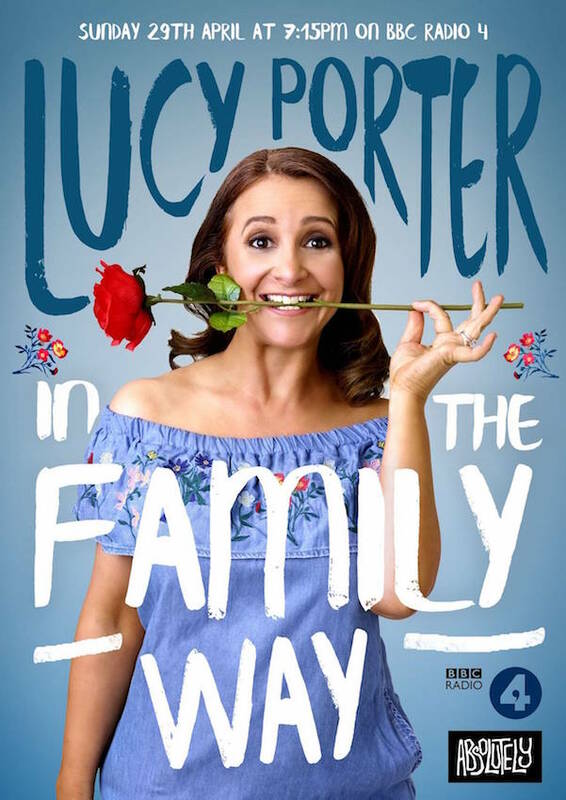 In recent years, Lucy Porter has become a mum of two and a middle-aged orphan. In her brand new show, with the help of rising star Luke Kempner, Lucy explores her relationship with the concept of family, and the lasting effects of a childhood spent in Croydon. As she charts the life cycle of a typical nuclear family, Lucy addresses issues like siblings – why do we all think ‘it’ll be nice for them to have each other to play with’ when no siblings have ever played together nicely since the dawn of time? Lucy takes us right to the end of the parenting process – when you end up having to parent your own parents. How do you tempt your parents out of the Morrison’s cafe? What do you do when your dad insists he’s a major international songwriter? Why is it essential to carry a pound coin at all times?